At Tourbuzz, we understand the importance of YOU getting paid! If you have had issues in the past collecting payments from clients, we have the perfect solution for you. 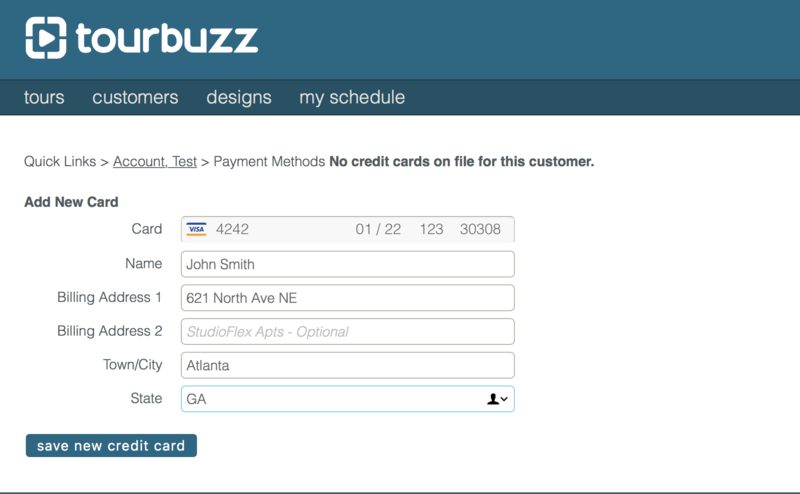 After much research, we decided the best solution to partner with was Stripe, so that you can safely and securely collect, store, and process credit cards from your clients all within Tourbuzz. We chose Stripe due to its low charges (only 2.9% + $0.30 per transaction), lack of monthly fees, and no differentiating rates regardless of credit cards accepted (ie. AMEX, Visa, Mastercard, Discover...all the same rate!). Additionally, they have a super user-friendly online Dashboard and help center, and are able to deposit funds quickly into your bank account. All it requires is a 1-time setup and you are ready to start collecting money! Already have a Stripe Account? If you don't currently have a Stripe account, no worries! Setting one up is easy and we're here to help get you started. 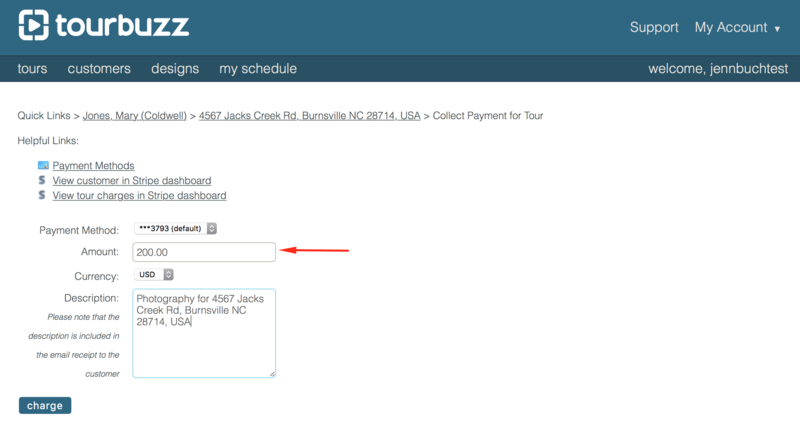 When you click "Deliver" on a tour, a window will pop up, with options to select from, as well as the option to "Connect with Stripe." You'll then be redirected to Stripe to create your account. Additionally, you can connect/create a Stripe account directly in your Account Settings. Fill out the Stripe form to create your new account. Once authentication is complete, you'll be brought right back to the delivery options for your tour. You are now ready to start collecting payments for your images and tours! Select the delivery and payment collection method, then click Deliver. Click here to find out more information on what each option means. 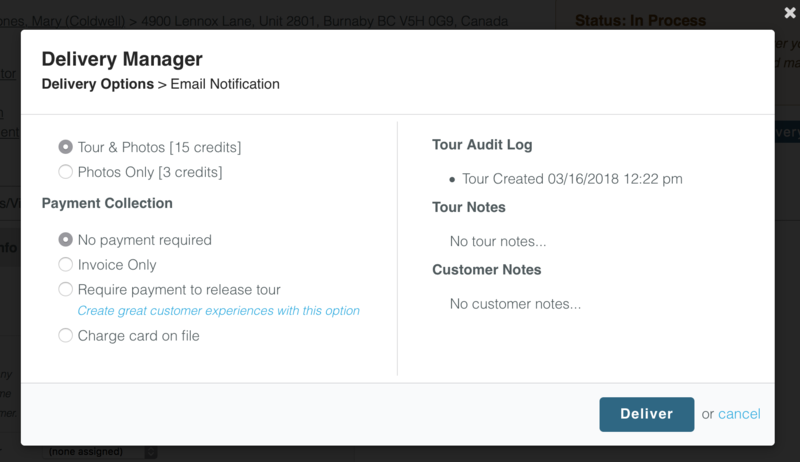 When you click "Deliver" on a tour, a window will pop up, with options to select from, as well as the option to "Connect with Stripe." 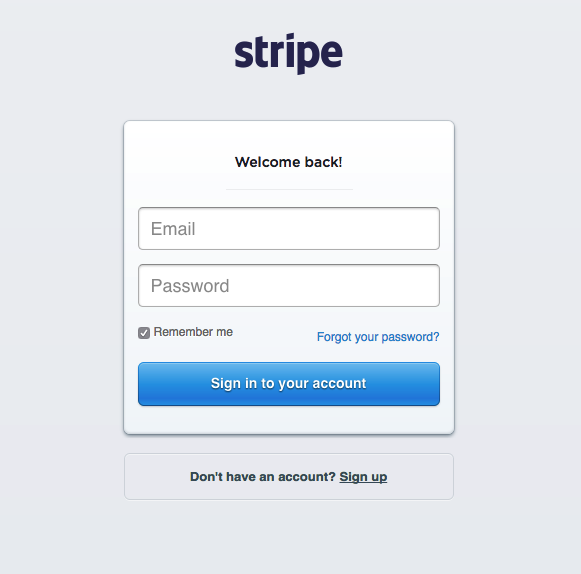 You'll then be redirected to Stripe so that you may log into your Stripe account. 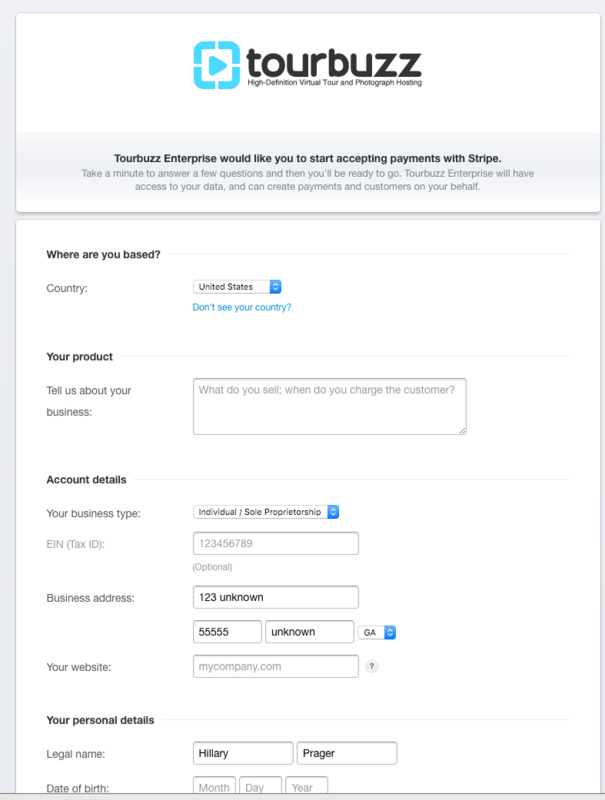 Another bonus in having your Stripe account connected to Tourbuzz, is you are now able to require your clients to include their credit card information when they place an order! If you are using our Order Forms, you have the option to collect credit card information upon order placement. The credit card will not be automatically charged, but will be securely saved to your customer's account for future use. To turn this requirement on, Go to My Account > Account Settings > Payment Processing. Check the box to Collect Credit Card on Order form. 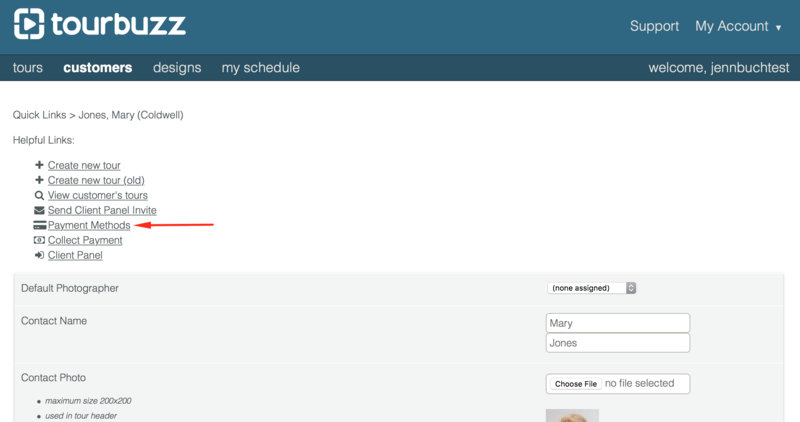 You can make this an optional field or a required field. Or, you can opt out of collecting information upon order, and follow the instructions below. Sometimes customers may be on the road and would prefer to give you a card number over the phone. We've prepared for such a situation with allowing you the ability to manually add cards to your clients' accounts. 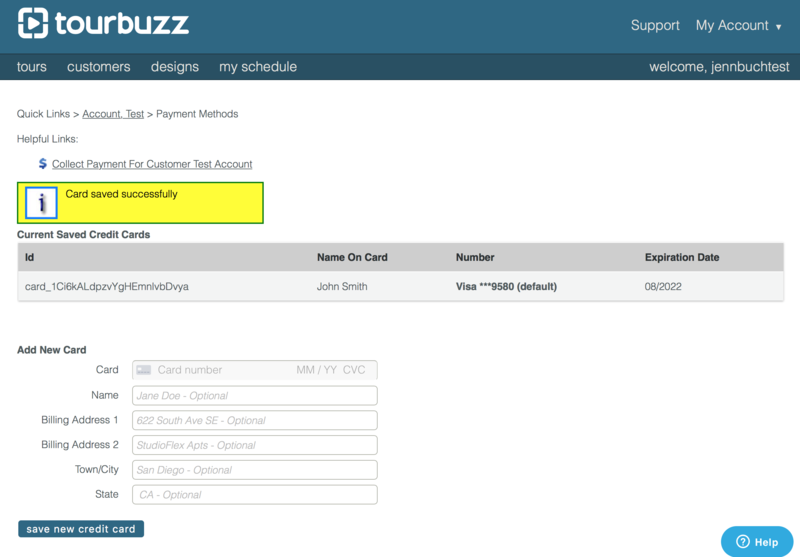 Click on customers (under the Tourbuzz logo) and then click edit next to the customer you'd like to add the payment method for. Under Helpful links, you'll want to find the option that says "Payment Methods." You can enter in all credit card information in these fields to safely and securely store the credit card information in your Stripe account. Verify that the correct information has been saved, and repeat with any additional credit cards. You are able to store as many credit cards as you'd like for a particular customer. Tourbuzz will never charge these cards without your permission. 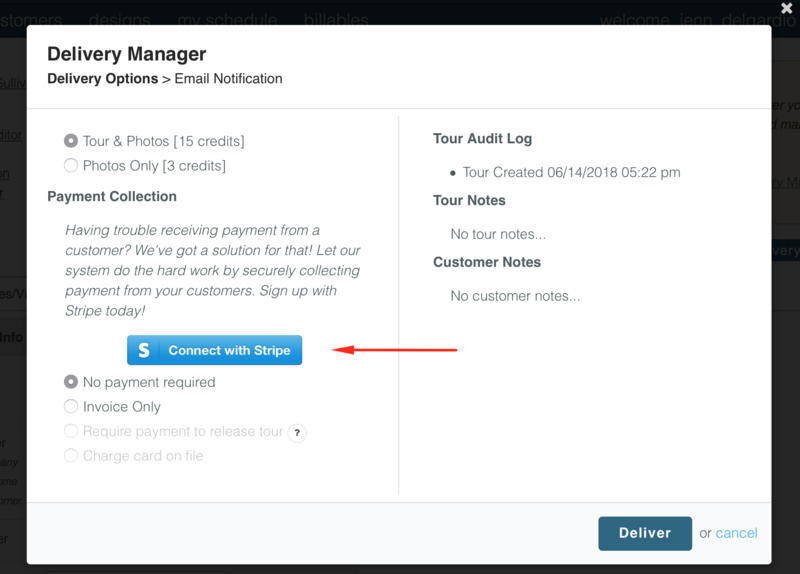 Since all credit card information is stored within Stripe, you'll need to head to your Stripe dashboard to make any changes to credit card information, if needed. You can manually charge a customer's credit card at any time using one of their stored cards. Go to your tour editor, and click on collect payment. On this screen, you are able to select the credit card, enter the amount to charge, and add/edit the description. Once done, click charge. Please note: any information you enter in the description box will be included in the email receipt sent to the customer. Your charge will now show up at the bottom of the screen under recent charges. Here you can confirm any and all information, as well as see the status of the charge.